In the spirit of European Romanticism – whether from an aspiration to join a mystic-religious tradition or whether from an escapist impulse – this exhibition explores the fine line between the local and the universal, and between the emotional sphere and the political one. The exhibited works offer the spectator a glimpse to exotic and primordial landscapes, but a closer look reveals expressions of violence and obsession, and the feeling of an impending catastrophe. 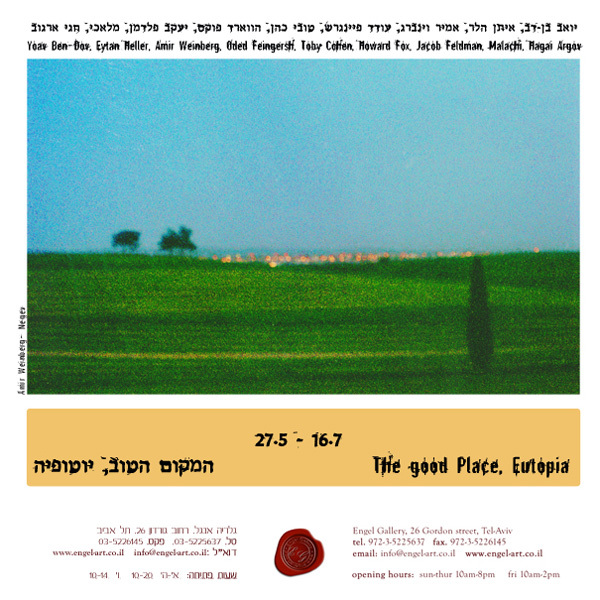 The artists approach the Israeli landscape from a desire to touch sublime and religious aspects. However, in all the artworks, there is a subconscious recognition that acknowledges the land as being a battlefront, a territory of struggle and war – be it cultural, religious, or political.